The ideal holiday can be easily accomplished if you choose the right location and a perfect way to spend the best days or even weeks of your year. Choosing a vacation on a boat can be done easier than you ever thought – especially if you choose one of the best sailing destinations which have gained lots of popularity these years: Malta. 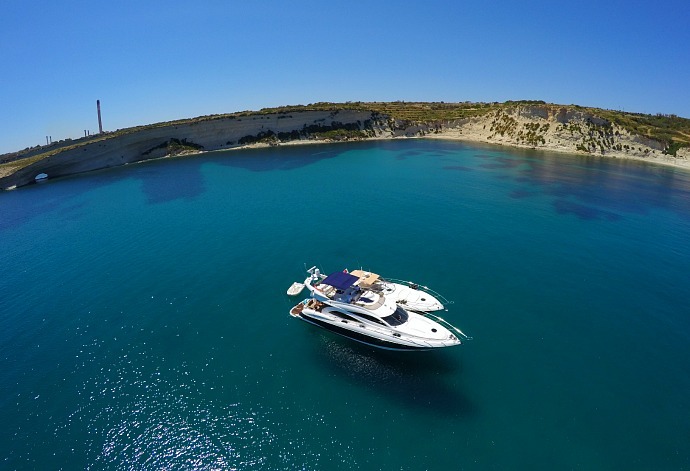 Renting a boat around Malta this season and explore the beauties of this Mediterranean heaven seems like a great plan, right? What you need to think of, firstly, are the exact dates of your sailing time, the group of friends you will share the fun with and ultimately: the places you want to visit. While the first two can be easy to plan on your own, what you probably need help with are the places of interest which any sailor would recommend as a must once you get in Malta and set sail. Ultimately, taking a whole day visiting the magic of the Blue Lagoon set on the island of Comino is another thing you can easily accomplish by utilizing the freedom of owning your boat for this summer journey. This little patch of the Maltese paradise has the clearest azure waters where you can spend the whole day either for swimming or for scuba diving – an activity many tourists utilize exactly at this spot. While a day at the blue Lagoon may seem too short for you, taking your time and enjoying the freedom of your own boat for the holiday can take you to wonderful places such as the pulsating island of Gozo – another must-see while sailing in Malta. No matter if you choose a plan and stick to it; or simply let the beauties of Malta create your trip spontaneously; one thing sure: your upcoming Maltese sailing trip will become the totally unforgettable. Wishing you a calm sailing and a wonderful time at this sailing paradise.